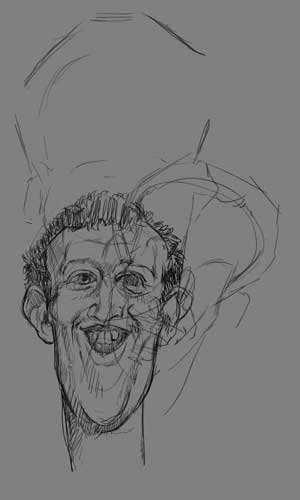 I have been watching the plight of Mark Zuckerberg, CEO of FaceBook as he faces the US Senate in an inquisition over the Cambridge Analytica scandal. He is confronting combined outrage over how Russia used Facebook to spread divisive political propaganda during the 2016 US presidential election and how Facebook seemed unaware that Cambridge Analytica, used personal data of Facebook users. 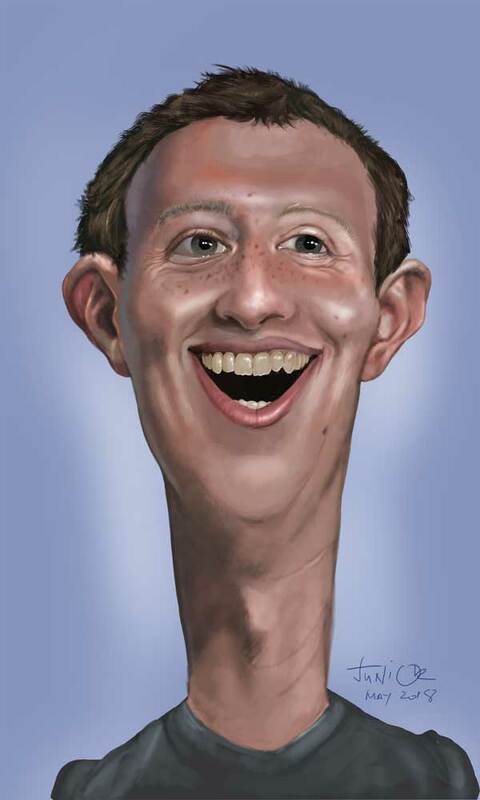 There are calls to regulate internet-based companies but, I think, the prospect has little chance of success. Watching the hearings, it became evident that the senators were a bit out of their comfort zone on some of the more technical issues they discussed. 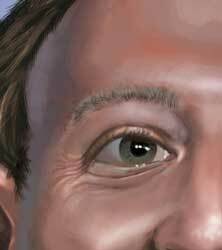 Zuckerberg has really weird features. The word "supernerd" comes to mind. He sports ginger hair and freckles and I wanted to almost "hear" the nerdish "chuckle" coming from him! A nice feature of Photoshop where a monochrome sketch can have a measure of color added. Changed the background to a gradient blue for some depth. I'd love to spend time fine-tuning the image but I need to get this out for your enjoyment! Till next time! Love from Junior! Fui a tu blog y vi el dibujo. ¡Tu dibujo también fue muy bueno! Gracias por tu comentario @Horty! WOW. You're awesome. 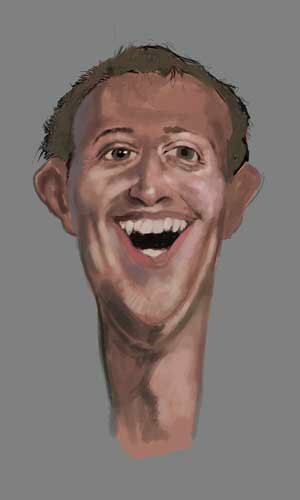 I'm myself a caricaturist but your dexterity is off the charts! Wow thanks @sansoncarrasco! 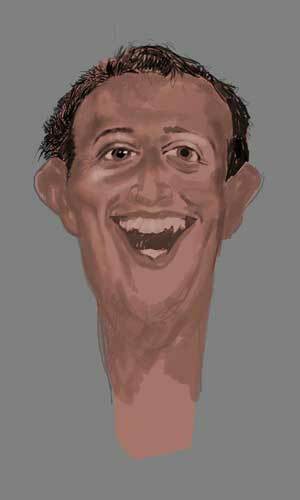 I followed you and had a look at your caricatures. You capture likeness beautifully and your style is fun and enjoyable! I will look out for more!! Thanks for taking the time to do that! Which one did you like most? I appreciate your feedback @olaivart! It always helps when I get positive comment!